Get Ready For Da Buzzboy! 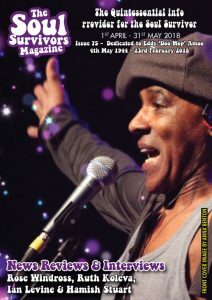 Passionate about life & his spiritual wife that is music, Fitzroy “da Buzzboy” Facey continues to spread the gospel through The Soul Survivors Magazine which he has been an integral part of for over a decade… He returns to the fields of Soulstice once again to spread the soulful love. He’s also carved himself a niche over the years working with live artists when he started playing at London’s Jazz Café from 1991, establishing a repertoire that has supported an eclectic who’s who list of world famous black music artists, including Gil Scott Heron, Roy Ayers, Bobby Byrd, Gwen McCrae, The Crusaders, War, Digable Planets & so many, many more! 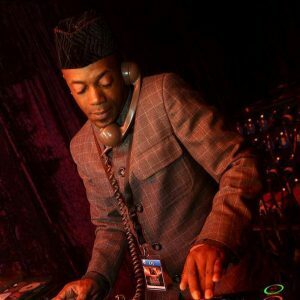 As well as MOBO Awards after parties, Fitzroy has made several guest radio shows on Solar Radio, Kiss FM, GLR & Choice FM, & even appeared on BBC 2’s ‘Dance Energy’ & ITV’s ‘Club A Vision’ back in the day. In recent years he’s DJ’ed for the late, great Teena Marie @ the Indigo2, as well as the legndary Cameo & Angie Stone. He’s been on the billing at weekenders such as Southport, Blackpool Luxury Soul & Prestatyn, & his syndicated Soul Survivors are broadcast on Soul Train Radio. He loves to continue to share his passion & musically educate the universal crowds who he loves to play out too. We are privileged to have him on board at Summer Soulstice, an avid supporter of our event which he’s been to both as a DJ & punter. If you’re a true soul survivor to which Fitzroy Facey is reaching out to, then make sure you don’t miss him in the Connoisseurs Corner at Summer Soulstice 2018.